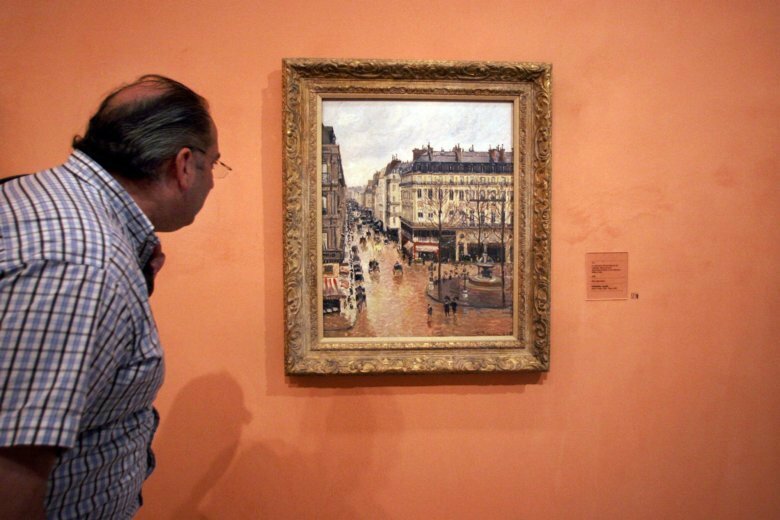 Testimony has ended in a Los Angeles trial to decide the rightful owner of a priceless Camille Pissaro painting that was seized by the Nazis in 1939. U.S. District Judge John F. Walter on Tuesday offered both attorneys the opportunity for closing arguments, but they declined. The judge gave them until Feb. 10 to submit post-trial motions. The judge’s ruling isn’t expected until the spring. The trial is the latest round in a two-decade battle by David Cassirer to get the painting back from Spain’s Thyssen-Bornemisza Museum. His great-grandmother, Lilly Cassirer, surrendered the artwork in exchange for safe passage out of Germany during the Holocaust. Her heirs didn’t know where it was until 1999. The museum says it acquired the painting in good faith and should be allowed to keep it. The attorney for a family seeking to recover a priceless painting seized by the Nazis grilled defense witnesses while seeking to show the museum that acquired it in 1992 should have known it was looted art. Attorney David Boies on Tuesday cross-examined the research team for Spain’s Thyssen-Bornemisza museum. He asked why they overlooked signs that indicated the provenance of Camille Pissaro’s 1897 painting of a Paris street scene was questionable. One of the museum’s experts, Lynn Nicholas, said she couldn’t explain why cardboard covering various labels showing provenance had been attached to the back of the artwork. One of those labels showed it had belonged to a Berlin gallery owned by the family of David Cassirer, who is suing to get it back. Cassirer’s great grandmother surrendered the painting in exchange for safe passage out of Germany. On Tuesday her great-grandson will walk into a U.S. courtroom for the latest round of what has been a nearly 20-year battle to get it back. The work, valued at $30 million or more, has been hanging in Spain’s Thyssen-Bornemisza museum since 1993. Cassirer’s heirs didn’t know where it was until 1999. They have been fighting for its return ever since. Spain says it acquired the painting in good faith and should be allowed to keep it.